Trax Ghana in collaboration with its donor Self Help Africa (SHA) and technical support from International Potato Centre (CIP) and Savannah Agricultural Research Institute (SARI) is promoting the resilient nutritious Orange-Fleshed Sweetpotato (OFSP) rich in Vitamin A to improve household food security, diet and income. OFSP offers an opportunity to promote increased marketing and processing which will boost demand and ultimately producer income. Trax Ghana farmers at Pelungu (Nabdam district) and Kabusgo (Bongo district) communities in the Upper East region successfully harvested their cultivated OFSP. Following, the farmers were trained on OFSP processing and utilisation by a personnel of the Women in Agricultural Development Directorate (WIAD) of the Ministry of Food and Agriculture (MOFA), Bongo District. The training is part of the value chain and enterprise development strategy of the project to increase household income generation opportunities through the sale of OFSP products and market creation. 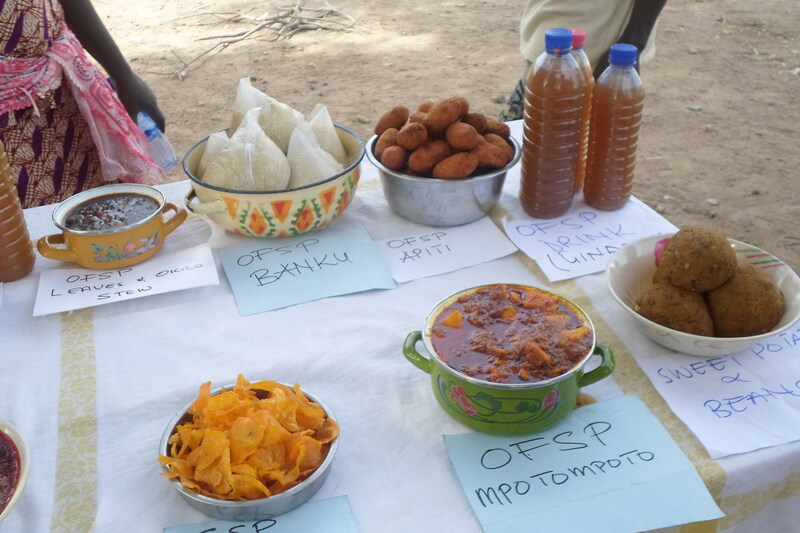 Participants were taken through OFSP processing and the preparation of various OFSP recipes such as flour, balls, chips, mpotompoto (pottage), leaves stew, juice, sweet pie, apiti and banku. The training offered participants a unique opportunity to acquire new skills in OFSP processing and utilization. Previously, farmers boil, fry or roast sweetpotato for household consumption but following the training, the participants are better placed to diversify their family menu and to convert the OFSP into marketable products for sale. 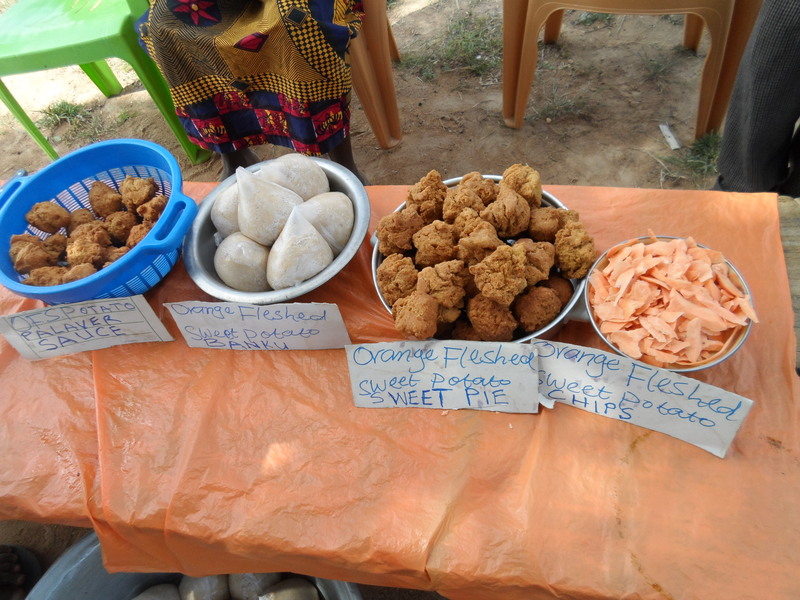 This entry was posted in Alternative Livelihoods, Food Security and tagged alternative livelihoods, Communities, nutrition, orange-fleshed sweet potato. Bookmark the permalink.